Lend me your attention if you don’t have a telephoto lens in this focal length. You will be pleased to know why. Though I shoot most of my wildlife using my 500mm F4 and a 70-200mm F2.8, I always felt the void of a high performing telephoto zoom lens in the focal length of 100-400. I have looked at my canon client’s who use 100-400 for the compositional flexibility, I have always felt handicapped between 200-500 range. 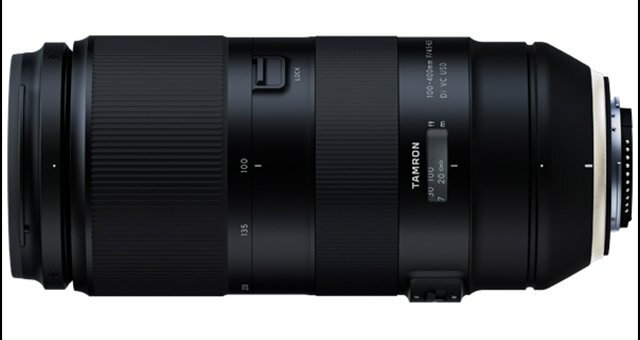 The Tamron 100-400mm F/4.5-6.3 Di VC USD telephoto focal length range is an extremely useful one and having that range in a compact, a nicely-designed and well-performing lens that includes Vibration Compensation (VC), Ultrasonic Drive (USD) AF and weather sealing is an attractive proposition. Throw an affordable price tag into the equation and the option becomes an especially enticing one. The lens is sold at MRP: 68,000/- (as of June 2018). 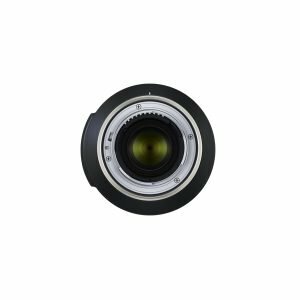 Getting the right focal length range is a critical part of the lens selection process. The focal length made available by this lens is a very compelling feature. This lens can be an ideal choice for general purpose telephoto needs. Though I find it best suited if you’re shooting wildlife or sports. Though this lens is not as fast as the prime lenses, you get the advantage of the telephoto zoom range. You can still make a portrait of a tiger without going too close and manage to shoot the same tiger with a little bit of its environment included. This lens clean design looks great and feels just compact. Fits perfectly at the same spot as my Nikon 70-200 f2.8 lens. The build quality is great, its lightweight and has a metal mount at the base. This lens’ VC and AF/MF switches are very nicely designed, residing on a shallow-raised panel in the typical location. The lock switch is also cleverly placed near the focal length indicator. Combination of longer focal lengths with narrower aperture means you need higher ISO or good light to handhold. You can make a decent image if image stabilization is used. The Tamron 100-400mm lens has two modes of VC. Mode 1 designed for normal handheld photography with 2 axis stabilization. While Mode 2 is designed for panning with a moving subject with one axis stabilization. There could be a slight jump in the viewfinder while you enable the VC on the lens, but the end result is tack sharp. The AF system was super fast and ultra silent. Though I could hear faint ‘sshh’ sound at some silent places. The AF drive system also uses a USD (Ultrasonic Silent Drive) motor for fast and precise focusing. I used this lens with Nikon D500 and the AF worked very fast than expected. I never had issues focussing on the fast-moving subjects such as birds/tigers. I ended up with highly focussed images as the lens could consistently focus on the moving subject. That’s a huge positive point for me. I guess, this lens deserves consideration for a home in your camera bag for the few reasons listed above. Plus, the compositional freedom that you will never miss. If you wish to buy with a good discount, you can always send us an email, we will provide with a great discount.